I’ve been using Emme Diane Skincare for quite a while now and I thought it was more than time that I share the love of Emme Diane with you! Emme Diane Skincare is great for skin like mine that has issues such as rosacea, dermatitis, sensitivity, and dryness. 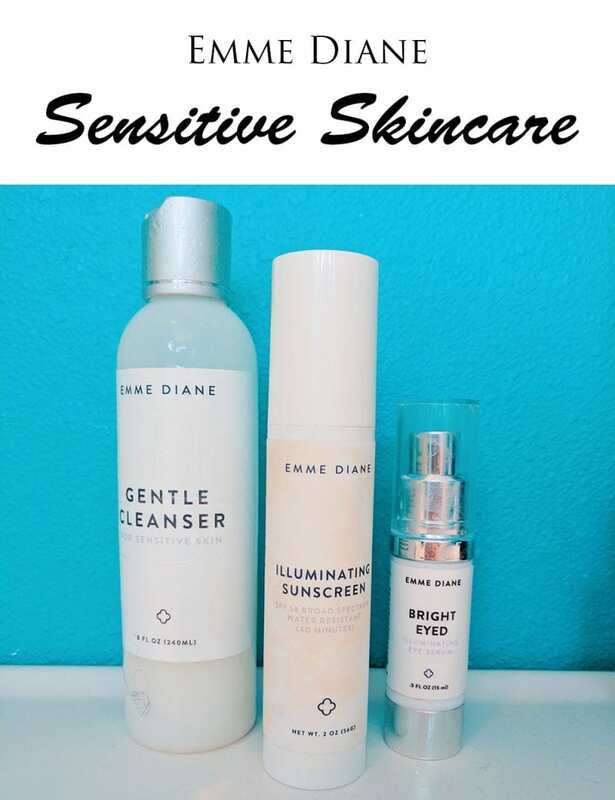 The Emme Diane Skincare line offers several different cleansers but the one that works best for me is the Gentle Cleanser. It’s a low lather cleanser that removes dirt without leaving your skin feeling stripped or dry. Because of my rosacea, it’s really important that my cleansers not leave my face feeling dry and tight, as that will trigger a reaction over time. This cleanser is excellent. The Emme Diane Skincare line has two different eye serums. The one that I like best is the Bright Eyed Illuminating Eye Contour Serum. I’m all about that illumination with my dry skin! It’s a serum that claims to minimize dark shadows, puffiness, and firm the eye area. It has ingredients such as peptides (to stimulate collagen growth), niacinamide (to lighten and brighten the eye area), and phyto-regulators (to reverse damage to the eye area). I loved the silky balmy texture. I don’t normally have very puffy eyes, nor serious dark circles under the eyes, just a bit of darkness. I noticed a slight brightening under my eyes, but I didn’t feel like my fine lines improved. I may need to try it for a few more months. I’ve saved my favorite product for last! It’s the Emme Diane Illuminating Tinted SPF 58 Sunscreen. I LOVE this sunscreen. It’s got broad spectrum protection. It’s a physical sunscreen made with zinc oxide and titanium dioxide, which is ideal for sensitive rosacea skin like mine. It’s non-irritating for me. It’s also water and sweat resistant for up to 40 minutes. Additionally, it has a light champagne beige tint to it. The tint is enough to counter some of my redness from rosacea and give my skin a slight glow. I get so many compliments on my skin when I wear it! I recommend that you apply the Emme Diane Illuminating Tinted SPF 58 Sunscreen as your last skincare step of the day. It is not a typical moisturizing SPF. It is just an SPF. This means that you can use it if you have sensitive oily skin instead of sensitive dry skin like mine. If you don’t know what type of skin you have, I highly recommend that you sign up for a free consultation with Emme Diane Skincare. She can help pinpoint your skin issues and get you on the road to gorgeous skin. My friend Jen from My Beauty Bunny swears by her skincare for her acne-prone skin. You can see Jen’s custom skincare routine for acne here. Do you want to learn more about Emme Diane Skincare? Let me know in the comments below! Many of you have asked for a rosacea update from me and I promise a more in-depth update soon. The key things for me with rosacea are keeping my skin well hydrated so that I don’t trigger a flare, and reducing stress. I’ve been under tremendous stress with buying a new home and my moving experience, so I’m in the middle of a flare right now. I’ve got a really painful, beneath the skin zit on my chin, which is unfortunately typical for me when I flare. I’m managing it with my skincare and my Oracea medication. 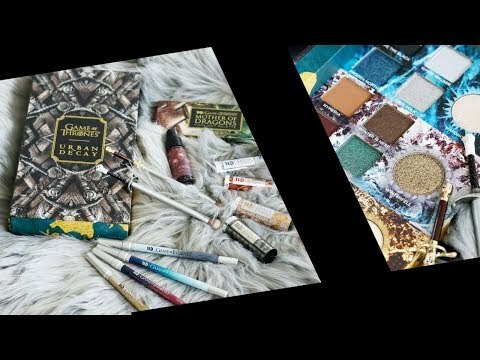 Next articleWhat’s your feeling on limited edition products? I’d never heard of this brand before. I will check them out. I wore my Emme Diane Tinted Sunscreen on my 3 week trip and it was perfect. The tint gave me just enough color that I didn’t look ghostly. I am now using it every day that I’m not wearing foundation. I’m interested in trying more from her line too. I’m obsessed with Emme Diane products! This is the first time in my life I’m not breaking out like crazy. Seriously life changing.